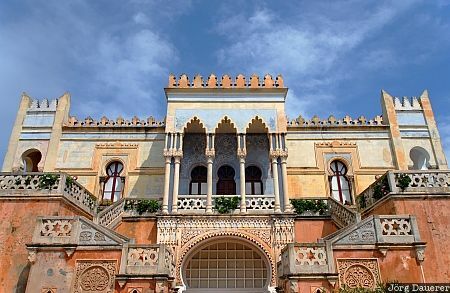 The facade of a fancy palace in Santa Cesarea Terme on the south-eastern coast of the Salento peninsula in the province of Lecce, Apulia (Puglia), Italy. This photo was taken on a sunny day in April of 2006. This photo was taken with a digital camera.